Adult Basic Education (ABE) training is the gateway to post-secondary education and employment for many of Canada’s marginalized and immigrant communities. Without these programs, may low- and middle-income citizens are prevented from participating in the economy. In December 2014, the BC Liberal government announced the immediate implementation of tuition fees and withdrawal of funding for ABE programs. 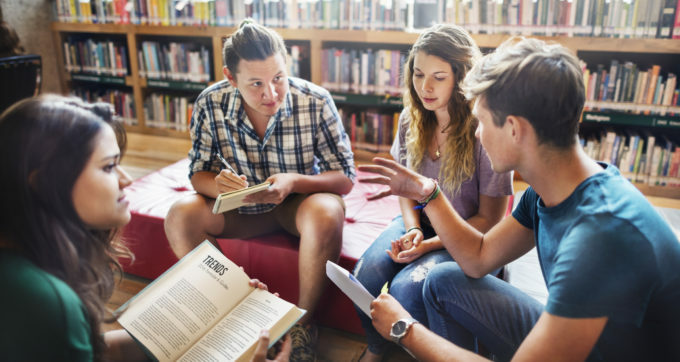 Though these cuts and new fees were accompanied by a new grant for ABE students, research conducted by the BCFS proves that the newAdult Upgrading Grant program is not nearly sufficient to meet the needs of ABE students. At this point, almost every post-secondary institution that offers ABE has implemented tuition fees on all courses. As a result, enrolment numbers have dropped dramatically across the province, ranging from 20% to 60% decline. Our campaign launched in April 2015 and within five months, we garnered over 4,000 online signatures and earned the support of labour unions, community groups and the City of New Westminster and Victoria. In total, the campaigned secured endorsements from 23 municipalities, including the Association of Vancouver Island and Coastal Communities, representing 51 communities on the island. The Union of British Columbia Municipalities, representing all municipalities in the province, also endorsed the campaign goal to restore funding to ABE. With these municipal endorsements, the campaign secured support from government bodies representing the vast majority of British Columbians. In the 2017 BC election, funding for ABE and the elimination of tuition fees were included in the Green Party and New Democratic Party’s platform. Since the establishment of the New Democratic Party minority government in July 2017, funding has been restored to ABE programs and tuition fees have been abolished.